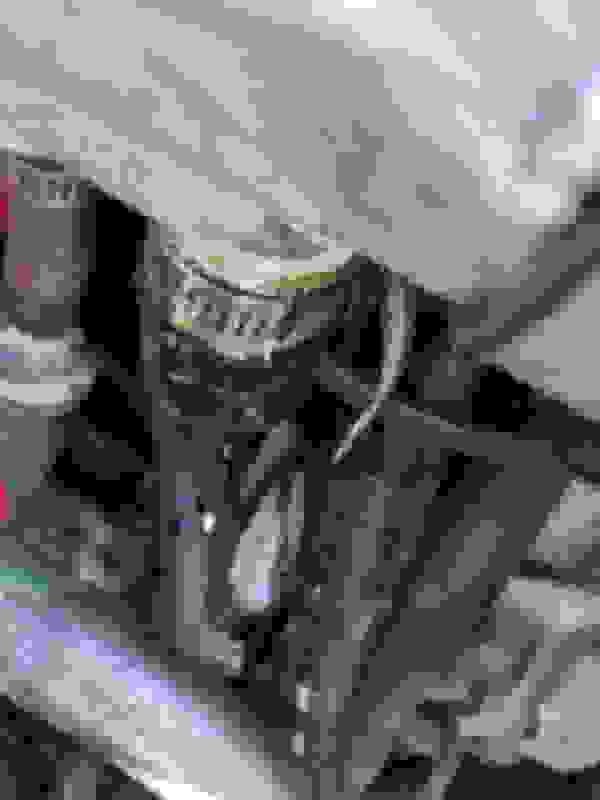 the intercooler pipe should only be carrying air with positive pressure but there are other hoses in the area. How many miles on the car? Things I'd be looking at is 1) is it consuming any oil or antifreeze? 2) is the PCV system in good shape? (try the "rubber glove" test on the oil fill cap using a latex glove. If it inflates you have a clogged PCV that needs to be fixed. 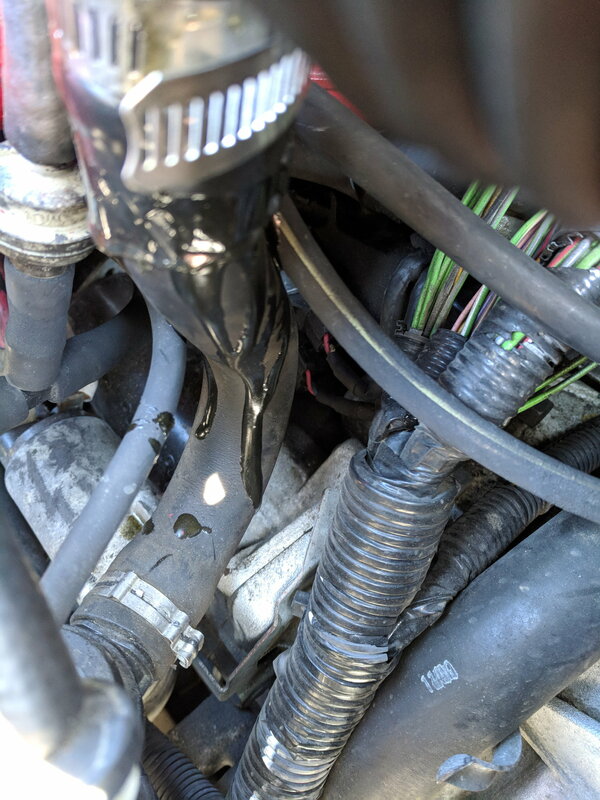 My logic for checking the PCV is that it feeds the blow-by gasses back into the intake via an oil separator and tubing on the front side of the engine. If that gets clogged or full, oil can find its way into the intake and possibly push out seals. It has 215k. I bought it with 210. 2 days later it blew the cam seals out due to the clogged pcv. I replaced the seals, t-belt, pcv etc. At that time the intake was off and was clean as could be. I cleaned the throttle body as well. I'm going to go take a pic for you. I'm trying to place this hose in my mind. It appears to be just above the starter on the front of the engine. We need a few more shots for reference. Dipstick covered in white, milky substance?